The big event this week is the third edition of New Museum's IDEAS CITY Festival, running from May 28th to the 30th in downtown New York City. This year's theme, "The invisible City," honors the 1972 book by the Italian writer Italo Calvino and "explores the future of cities with culture as a driving force." Hundreds of cultural and community groups will fill the area surrounding the museum on the Bowery with exhibitions, workshops, performances and panels. Some highlights: a 100-foot-long conversation table running down Rivington Street, a Mayan ball game tournament, a mini food festival by Hester Street Fair, hot-air balloon performances and a talk with architect Bjarke Ingels, whose incredible pyramid-shaped building on West 57th Street is nearing completion. The massive list of events is HERE. There are tons of IDEAS CITY-related events produced by other downtown organizations including Storefront for Art & Architecture, The Architectural League, The Drawing Center, Bowery Poetry Club and NYU Wagner. On Saturday from noon to 6 p.m., you can chill in a comfy room called "Plush" by Maria Lynch and Daniel Perlin or check out the pop-up "Foamspace" by SecondMedia, both at the Storefront for Art & Architecture. "Mmuseumm Season 4" and its next door annex, "Mmuseumm No. 2," at 4 Cortlandt Alley, aka a freight elevator in Tribeca, open on Thursday evening at 7 p.m. 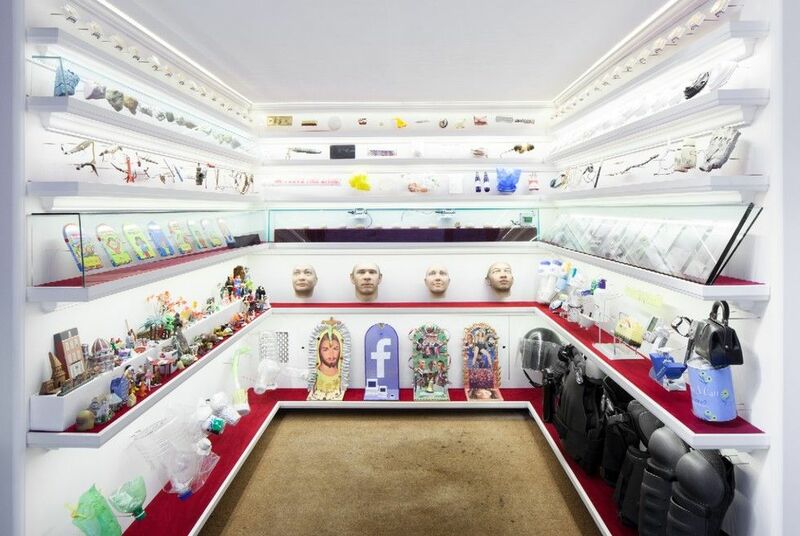 They've got a full-scale re-creation of Maira Kalman's "Sara Berman's Closet," "Pharmaceutical Promo Objects" by Ryder Ripps, "The Cornflake Index" by Anne Griffiths, "Styrofoam Rocks" by Maia Ruth Lee and more. Aida Mahmudova opens her first solo show in the US, "Passing By...," on May 28th, 6 to 8 p.m., at Leila Heller Gallery, (568 West 25th Street). 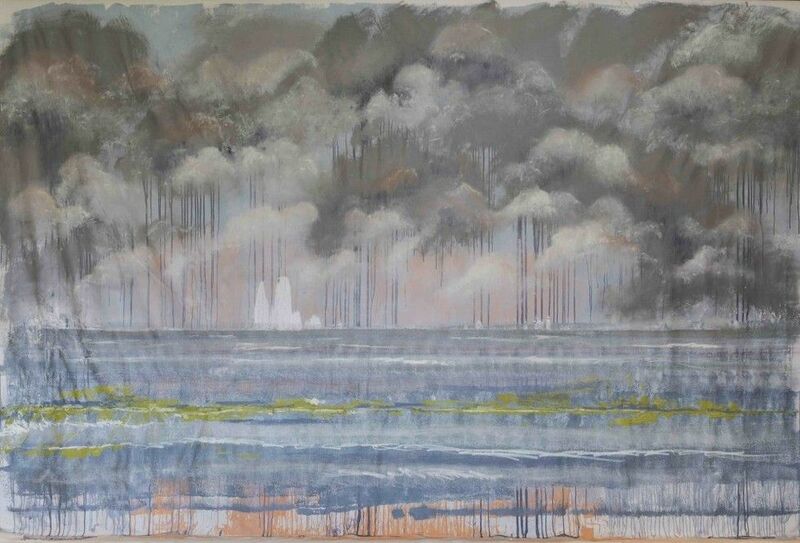 The artist lives in Baku, Azerbaijan, and uses that country's natural surroundings as a backdrop, combining them with places "remembered and imagined." On view until July 3rd. 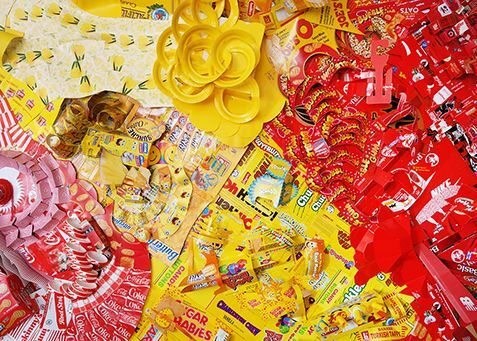 Pavel Zoubok Gallery (531 West 26th Street) opens solo exhibitions by Lisa Hoke and Laurie Frick on Thursday, May 28th, 6 to 8 p.m. Hoke's show, "Attention Shoppers," incorporates product packaging in a "telegraphic ode to indulgence;" while Frick uses assemblages of paper, wood and leather to "visualize personal data." 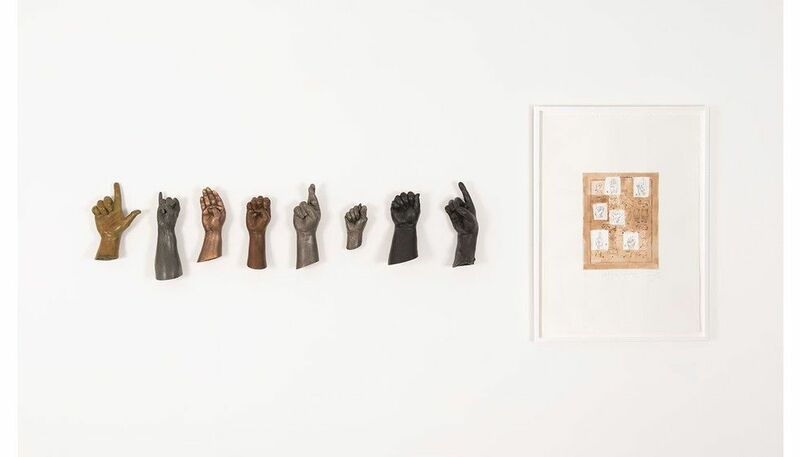 Jack Shainman Gallery (513 West 20th Street and 524 West 24th Street) opens a show by the Cuban sculptor Yoan Capote called "Collective Unconscious" at both Chelsea spaces on May 28th, 6 to 8 p.m. The works explore history and "the distinctive ways in which shared social experiences influences the individual." One of the works on view, "Immanencia." is a gigantic bust of Fidel Castro made from thousands of door hinges. Up until July 10. Also, be sure to check out the gallery's incredible El Anatsui show up in their Kinderhook, New York, space through September. Kent Fine Art (210 Eleventh Avenue, 2nd floor) has three big installations opening this week on May 28th from 6 to 9 p.m. The first, by Heide Fasnacht, "deals with the demise and demolition of Las Vegas' Frontier Casino" that was blown-apart in 2007. Another work by Russian-born artist Yulia Pinkusevich uses "salvaged everyday materials" to make the viewer "see time as a construct, reminding us of the fragile, intimate relationship we hold with the Earth." And for the third, Dannielle Tegeder constructs a site-specific wall drawing. All are up until July 24th. On Friday, May 29th, 6 to 8 p.m., The Eighth Floor (17 West 17th Street) hosts an artist talk with Alberto Borea and Lan Tuazon -- plus Sara Reisman from the Rubin Foundation -- on the topic: "The Construction of Social Space." 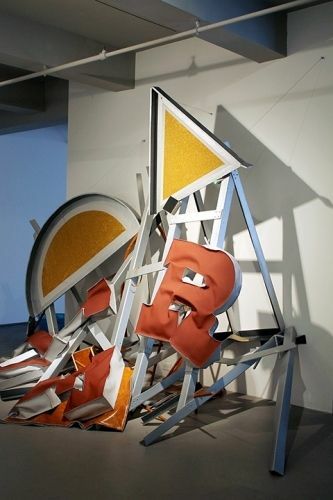 It's a part of the gallery's ongoing exhibition, "Mobility and Its Discontents." Please rsvp to the8thfloor.org/#events, as space is limited. Bitforms Gallery (131 Allen Street) hosts an "artist talk" with Daniel Rozin on Saturday afternoon, May 30th, 4 p.m. Rozin's new show, "Descent With Modification," is currently on view in the gallery through July 1st. 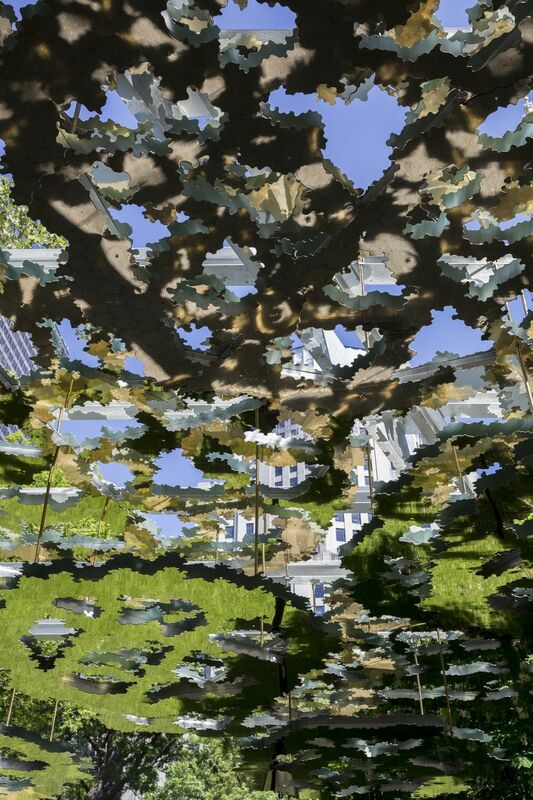 Summer's here, so head outside and check out the humongous work called "Fata Morgana" by Teresita Fernandez in Madison Square Park. The Brooklyn artist constructed a 500-foot-long work in six sections suspended over the parks walkways. Also, there's a work by Urs Fischer, "Big Clay #4," outside the Seagram Building (375 Park Avenue) that's 42 feet tall and derived from a piece of clay; and an installation of giant spools of rope, "Desire Lines," by Tatiana Trouve in Central Park. And finally, don't forget that MoMA's annual "Party in the Garden" is on Tuesday, June 2nd, with cocktails at 7 p.m. and dinner at 8. This year's honorees are Richard Serra and Kara Walker. Tickets, if available, are HERE. You can also get tickets to the afterparty from 9 to midnight for $225 which includes a performance by The Weeknd -- who currently has a big hit with "Earned It" -- and a DJ set from Chromeo.